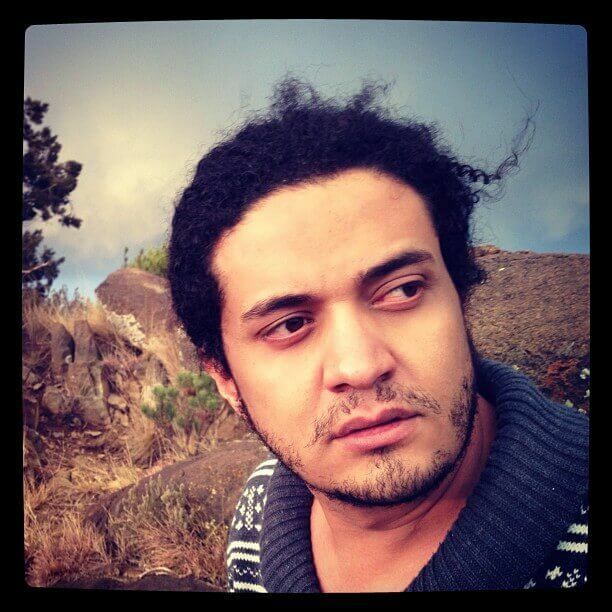 Ashraf Fayadh is a poet serving 8 years from a reduced death sentence in Saudi Arabia for writing about his life as a refugee fleeing Palestine. Nowhere in the world should this be a crime. Help me make sure this never happens to anyone else. Ashraf Fayadh is a Palestinian poet sentenced to 8 years in prison and 800 lashes for a series of poems about his life while fleeing war-torn Palestine. In November of 2015, he was arrested as a refugee in Saudi Arabia for apostasy, defined as abandoningIslam. In addition to his collection of poems, Instructions Within, testimony was given that he was overheard cursing God, the Prophet Mohammed and Saudi Arabia. The testimony came from an unnamed witness and two members of the Mutaween, Saudi Arabia's religious police force. Fayadh denies these accusations, stating that he is still a practicing Muslim. Additional evidence included the length of his hair, smoking cigarettes, and Instagram pictures of the poet with other female artists. Many of his friends believe the real reason for his arrest is a video of him criticizing a public lashing by the Mutaween. We have to support each other, no matter the distance, no matter the borders. You never know when you'll need the same in return. Poems, videos, cigarettes,and pictures with female artists are not something that should warrant 8 years in prison, much less a potential death sentence. Help Ana Tijoux advocate for his immediate release. 100% of the proceeds raised from this shirt will go toThe Voice Project to help them as they work for the release of Fayadh and the other artist-activists who have been imprisoned around the globe for speaking out. More information on Fayadh and the Voice Project's "Imprisoned forArt" campaign is available here.